The Official Raspberry Pi 3 Model B+ protective cases available in both red/white and black/grey colour combinations. The Raspberry Pi 3 Model B is the first member of the third generation Raspberry Pi family. Once you’ve received your new Raspberry Pi it’s easy to connect it up and get started. Watch Pete Wood, from DesignSpark, show you how to connect your board up and start running NOOBS, the new out-of-the-box software from the Raspberry Pi Foundation. My Raspberry Pi Thinks It’s a PDP-8! AI Powered Identification with the Pidentifier! Build a Raspberry Pi-based object-identifying appliance with a Pi 3 Model B, Pi Camera, Intel Movidius NCS, the DesignSpark Pmod HAT, and a Digilent OLED Pmod. 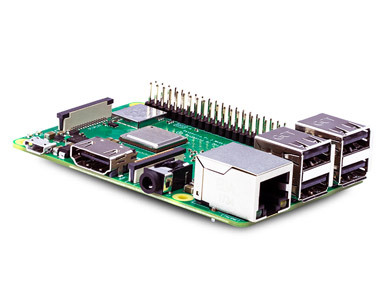 From cables and cases to cameras and cards, click below to find everything you need for your Raspberry Pi.